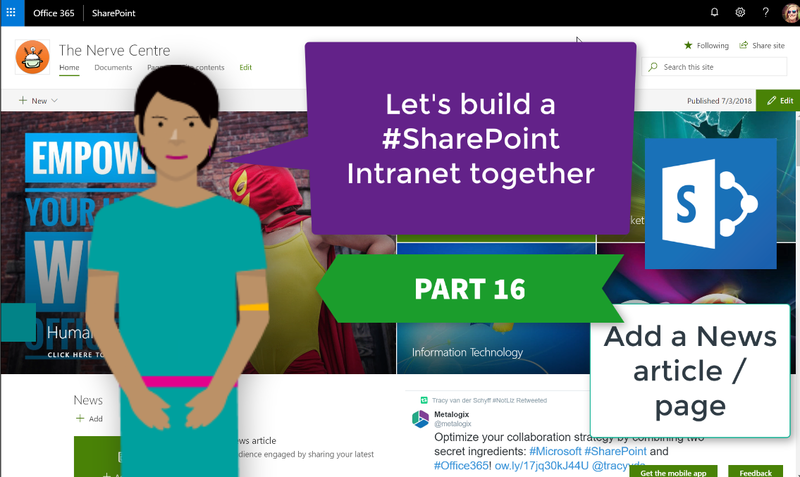 The News on the #Modern Sites on #SharePoint is a pretty nifty way to gradually replace those announcement emails with attachments. These also publish nicely to the Mobile SharePoint app. Not only can you add text and images, but any of the web parts you’d use on other pages. So just think of how dynamic these articles could be? Lets take a look.